The Asian Development Bank (ADB) Board of Directors has approved grant assistance of $100 million—the first of an envisaged package totaling $200 million to help Bangladesh develop basic infrastructure and services for Rohingyas. 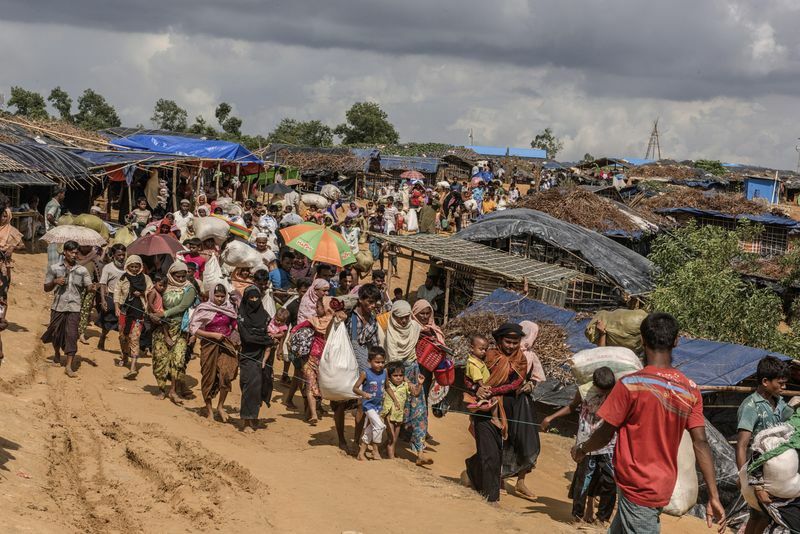 Since late August 2017, about 700,000 people have crossed the border from Rakhine State, Myanmar, into Coxs Bazar at the southeast tip of Bangladesh. The displaced persons are living in 32 camps spread over the district. Providing food, shelter, health, sanitation, water, and other essential services in the camps while fending off disease is a daily challenge. If unaddressed, conditions are feared to worsen dramatically. “Given the scale of the humanitarian needs, we are coordinating closely and promptly with World Bank and other development partners to support the government in addressing the crisis in Coxs Bazar,” said ADB President Takehiko Nakao on Friday. After Nakao received the request from Abul Maal Abdul Muhith, Minister of Finance, for grant assistance when they met in early May, ADB developed and processed the project at an extraordinary speed under its emergency procedure, according to ADB statement received from Manila. The ADB $100 million grant project will support the displaced people sheltered in camps in the Ukhia and Teknaf sub-districts of Coxs Bazar focusing on water supply and sanitation, disaster risk management, energy, and roads. The project will rehabilitate roads within the camps to connect essential food distribution and storage centers, hospitals, education facilities, and provide emergency access. It will also resurface the road from Coxs Bazar to Teknaf and other critical sections. To address water needs, the project will provide mobile water carriers, community bathing facilities, and build a piped water supply system and waste management facilities, together with small water treatment plants. Solar powered and mini grid-connected street lighting will be provided and access to electricity augmented by substations, distribution lines, and transformers. The southeastern part of Bangladesh is highly susceptible to various types of natural hazards, as well as cyclone and monsoon seasons, which include flooding, landslides, lightning, fires, and heat waves. Given these potential challenges, the project will strengthen disaster risk management by constructing cyclone shelters with emergency access roads, as well as food distribution centers, walls to protect against landslides, and a storm water drainage network. ADB support will be within the framework of multisector Joint Response Plan prepared by the UN-led Inter Sector Coordination Group in coordination with the government. The project has been developed and will be implemented in coordination with United Nations agencies, the World Bank, and other donors that are giving humanitarian relief such as food, water, medical aid, and temporary shelter. The first phase is costing $120 million over about 2.5 years. The first ADB $100 million grant will come from the Asian Development Fund (ADF), while the government will provide $20 million. Nakao appreciated the ADF donors’ prompt endorsement of grant financing for Bangladesh.